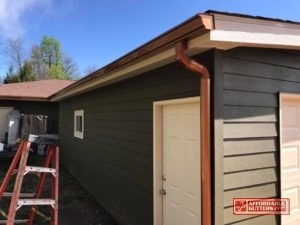 Affordable Gutters Plus, LLC is the group to call for your quality rain gutter installation needs in Ball Ground, GA. You get excellent rain gutter installation for your house with our absolute roof and gutter services. Ease your worries about roofing damage with our expertly installed rain gutter installation, just one of our many services devised to help you rest easy and prevent roof damage. Workmanship and customer service are first priority for our expert, licensed contractors for each job. For all of your rain gutter installation queries, we are just a call away. Contact 770-735-4433 for high quality services and rain gutter installation in Ball Ground, GA from Affordable Gutters Plus, LLC. 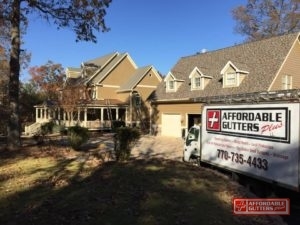 Affordable Gutters Plus, LLC offers all of your required residential services in Ball Ground, GA. With home services, our contractors complete more than just rain gutter systems. Your home gets these services and many more. Storms, hail and winds are prevented from damaging your home by your roof system. You can defend your roofing with skilled installation on your gutter system. 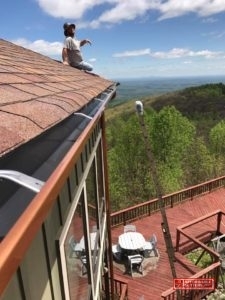 Contact us at 770-735-4433 today to get started on your rain gutter installation in Ball Ground, GA.
With the big investment it is to own a house, you anticipate that you will be able to live in for a lifetime. No matter how long you plan on owning your home, Affordable Gutters Plus, LLC knows that you require systems you can trust, which is why we install the best gutters for your home. Our contractors are licensed experts who work with you to ensure you get exactly what your home requires. Your roof or rain gutter installation service comes with the best customer service and craftsmanship around. Dial 770-735-4433 for Affordable Gutters and superior rain gutter installation today.